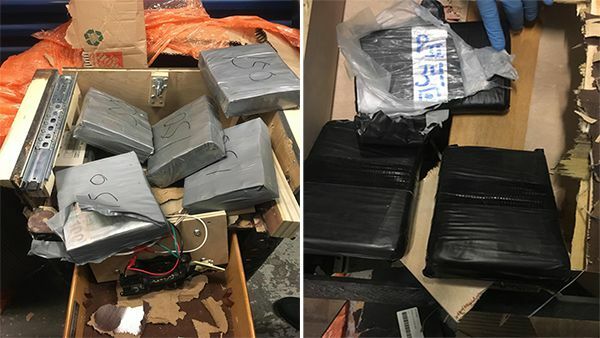 NEW YORK (WABC) -- A multi-million dollar drug operation that hid heroin and cash in furniture spanning several states was busted over the weekend by federal agents. 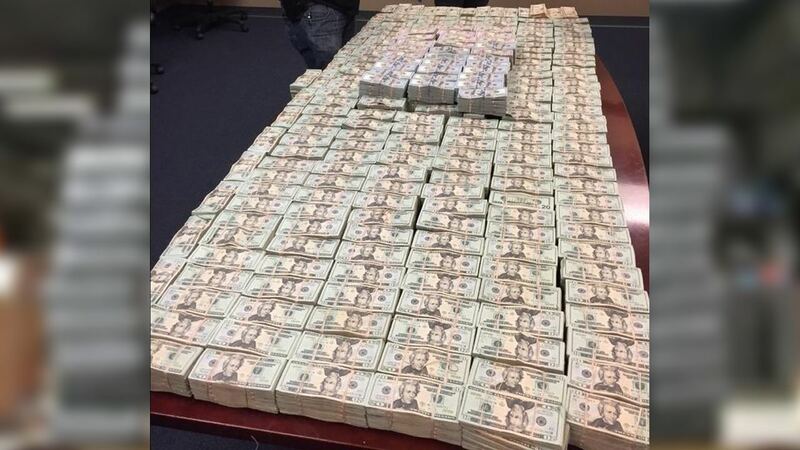 Authorities with the DEA NY Drug Enforcement Task Force and Homeland Security arrested Jorge Pizarro, 41, Nelson Dejesus, 40, and Miguel Angeles, 27, on Saturday near a storage unit in the Bronx that contained over $4.1 million in cash and over six pounds of heroin. A long-term investigation found that the three men allegedly oversaw a multi-state narcotics operation that shipped heroin from Texas to New York City and Lawrence, Massachusetts for sale. The seized heroin was found concealed inside wooden furniture. "Using furniture that contained hidden compartments, these individuals ran a large interstate drug trafficking organization that flooded our streets with heroin," said Angel Melendez, Special Agent in Charge HSI New York. "The seizure of over $4 million in US currency shows how lucrative the drug trade is but also severely hinders the drug traffickers who were supposed to receive it." During the raid on the storage facility, authorities also found a bottle of fox urine that was used to disguise the smell of the drugs. All three defendants were charged with multiple counts of criminal possession of a controlled substance and were held on bail after being arraigned in Manhattan Criminal Court. 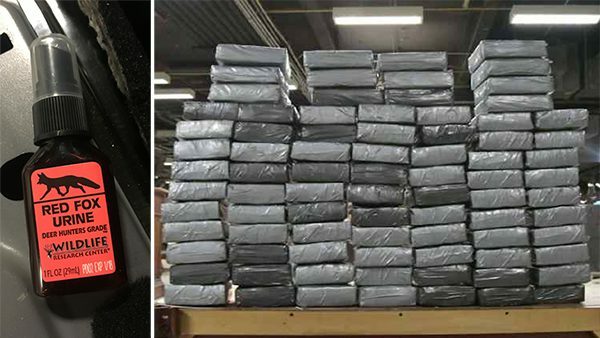 "The potential toll on human lives represented by this amount of drug money, carefully packaged and hidden in hydraulic compartments for interstate traffickers, cannot be measured," said Special Narcotics Prosecutor Bridget Brennan. "I thank our law enforcement partners for their dedication and diligence in preventing substantial amounts of heroin from hitting the streets."